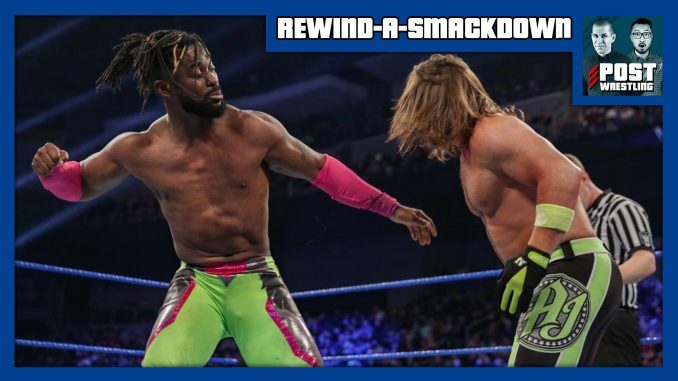 John Pollock and Wai Ting review WWE SmackDown from Toledo, Ohio. The final SmackDown before the Elimination Chamber featured a Gauntlet match taking up the final 70 minutes the show, Mustafa Ali’s replacement is announced, the women’s teams determine who will start the Chamber match on Sunday, and McMiz TV debuts with The Usos. NEWS OF THE DAY: Pedro Morales passes away, an update on Sasha Banks, Cody undergoes knee surgery, New Japan announces cards, Raw’s viewership, updated Elimination Chamber card & more. John Pollock reviews WWE Raw from June 17, 2002, for the Raw leading into the King of the Ring, which we will review on Friday’s Rewind-A-Wai. This show dealt with the fallout of Steve Austin walking out on the company the previous week and the return of The Rock. Plus, John recaps Stephanie McMahon’s recent interview on Facebook’s 3.5 Degrees podcast discussing her ascension in the company.